The model year 2019 lineup of Toyota cars is a selection that truly defines all of the performance, reliability, and sophistication we have come to expect from Toyota over the decades. This is a lineup that has something to offer everyone, including a number of hybrid options for drivers who want to reduce their impact on the environment. It’s clear that Toyota has been taking notes from professionals and drivers over the years, and their lineup has become as refined and precise as imaginable. 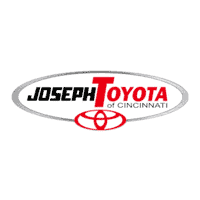 At Joseph Toyota, we are pleased to offer an impressive selection of new and used Toyotas to choose from. Even if you are interested in an SUV or a truck, we have something for you, but our love of Toyota cars is unmatched within the industry. Our knowledgeable team is here to answer all of your questions and show you how enjoyable the car-buying experience can be when you are shown honesty and respect. We value every one of our customers and see each interaction as a chance to further develop a long-term relationship with every driver we meet. The lineup of 2019 Toyota cars is as impressive as it has ever been and we couldn’t be happier to offer them to all of our customers. While some other dealerships might rely on high-pressure sales tactics or deception, we not only see that kind of behavior as unethical but also unnecessary. When your fleet of vehicles has so much going for it already, there is simply no need to try to use those kinds of tricks. Despite all of Toyota’s technological advancements, these cars can’t sell themselves just yet, but they come pretty close. It all starts with the sleek little Yaris, which has a starting MSRP of just $15,450. Available with a number of trim levels to choose from, the Yaris has an estimated fuel economy of 32 mpg in the city and 40 mpg on the highway. Standard technology features include remote keyless entry, two USB ports, and a 7-inch touchscreen multimedia system that features voice recognition and Bluetooth support. The Yaris even includes a low-speed pre-collision system standard to help improve driver safety and avoid crashes, as well as an active safety system designed to keep drivers and their passengers safer than ever before. Next up is the 2019 Toyota Corolla, which is one of the most beautifully designed Toyota cars on the road and available at a starting MSRP of just $18,700. 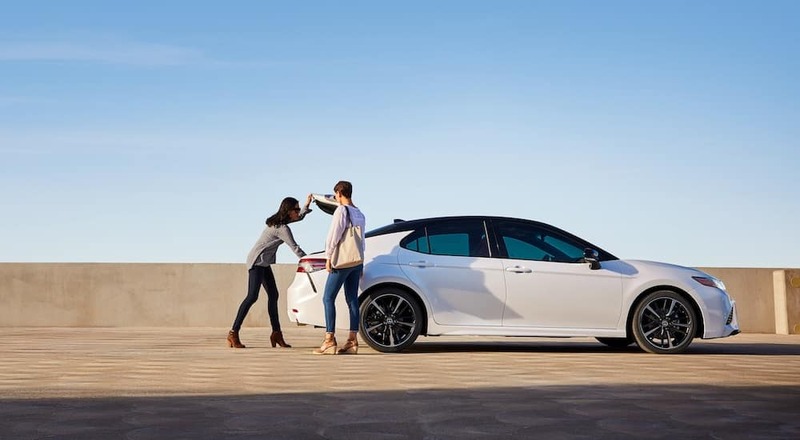 The Corolla has excellent fuel economy with an estimated 28 mpg in the city and 36 mpg on the highway, plus there are numerous trim levels available with additional features. Even so, it comes standard with Toyota’s Safety Sense feature that includes a pre-collision system and pedestrian detection to help drivers avoid collisions, along with lane departure alert and steering assist. There is a standard 7-inch touchscreen and available features that include a sport gauge cluster, paddle shifters, and Sport Mode for even greater command of the road. If you are interested in a Corolla but want something a little different in a Toyota car, then consider the 2019 Corolla Hatchback, which starts at just $19,990 MSRP. 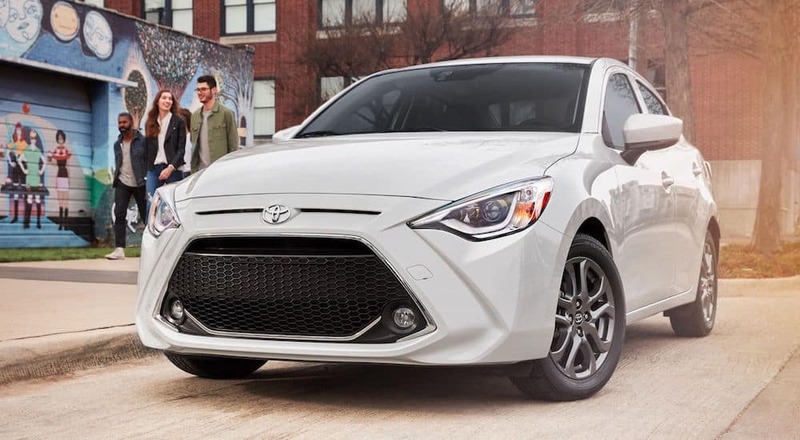 The Hatchback version of the Corolla has an estimated gas mileage of 30 mpg in the city and 38 mpg on the highway, slightly better than the standard Corolla. As the name suggests, this model features a rear hatchback that makes it easier to load and unload the back of the vehicle. Of course, this does not come at the expense of other great features, like the Toyota Safety Sense package or support for Apple CarPlay. A leader in the hybrid field, the gorgeous Prius c is one of the best and most eco-friendly Toyota cars on the road, with a starting MSRP of $21,530. Due to its hybrid design, the Prius c has an impressive fuel efficiency of 48 mpg in the city and 43 mpg on the highway. The Prius c has a sleek four-door design with a hatchback that makes it very easy to load up and unload whether you need it for work or play. It comes with the standard Toyota Safety Sense package, which includes pre-collision and pedestrian detection, as well as lane departure alert and a standard rear vision camera. The classic vision of Toyota performance and reliability, the 2019 Camry has everything you would expect and more, and starts at an MSRP of $23,845. You get up to an estimated 29 mpg in the city and up to 41 mpg on the highway, thanks to a sleek and aerodynamic design that makes sure you are always in control. This exterior design is particularly breathtaking when you see the XSE and SE models, which feature a catamaran-inspired look with a black sport mesh grille. Of course, the 2019 Camry is still loaded with great features including Apple CarPlay support, and the Safety Sense package that includes a pre-collision system, pedestrian detection, and dynamic radar cruise control to help keep you safe. If you want the sophistication and excellence of a Camry but want to push fuel efficiency to the limit, then consider the remarkable 2019 Camry Hybrid, which starts with an MSRP of $28,150. This beauty has an estimated 51 mpg in the city and 53 mpg on the highway, which is remarkable even for a hybrid. Like other Toyota cars, the 2019 Camry Hybrid includes the Safety Sense package, which features a pre-collision system, pedestrian detection, and other features including dynamic radar cruise control for added safety. If you are looking for the ultimate expression of elegance and sophistication in Toyota cars, then take a good look at the 2019 Avalon, which has a starting MSRP of $35,500. This gorgeous luxury sedan features an estimated 22 mpg in the city and 32 mpg on the highway. The sleek silhouette of the Toyota Avalon is unmistakable and makes an immediate impression. Technology features for the Avalon leave nothing behind, with an available JBL audio system, support for Apple CarPlay and other technology including Apple Watch and Android Smartwatch support. If you like the sound of the Toyota Avalon but you are worried about fuel economy, then take a good look at the Avalon Hybrid, which has a starting MSRP of $36,500. This gets you an estimated fuel efficiency of 43 mpg in the city and 44 mpg on the highway thanks to a powerful hybrid engine. This fuel economy does not come at the expense of other luxuries and features, however, as the Avalon Hybrid includes all of the technology and safety options available on the standard Avalon. For fans of Toyota sports cars there is the 2019 Toyota 86, which starts off with an MSRP of $26,455. This sleek and stylish coupe has an estimated 21 mpg in the city and 28 mpg on the highway. The chassis of the 86 is clearly designed for speed and performance, with a body shape that keeps its center of gravity low to the road and an aggressive front and rear balance optimized for power. The Toyota 86 has a standard 2.0L 4-cylinder engine that provides up to 205hp and 156 lb.-ft. of torque with a 6-speed manual transmission.